This is my first post on this website. I have a small patio (about 10X16) in my back yard that is unattractive. Because it is a light color of cement and is adjacent to my driveway which is also the same color, about 1/2 of my back yard is a blinding chunk of white pavement. I'd like to find a way to enhance the surface of the cement patio by changing its color or texture so I don't have to pull out the concrete and install a new patio of pavers or tinted concrete. Is there any way to add a coating to change the color of existing concrete? I've seen one project where cement was poured on top and stamped, and I would be open to that option as well if someone has had success with it. I've also seen where people have put flagstone or pavers on top of cement, and I would like to know if that will create mold or other problems between the concrete and the material on top. What I don't like much is the trend of spray painting patterns onto the cement, but any recommendations beyond that would be helpful. There is stain for concrete, which is like thin paint, to help it soak in. It still has to be redone every year or two, but is a quick easy job. 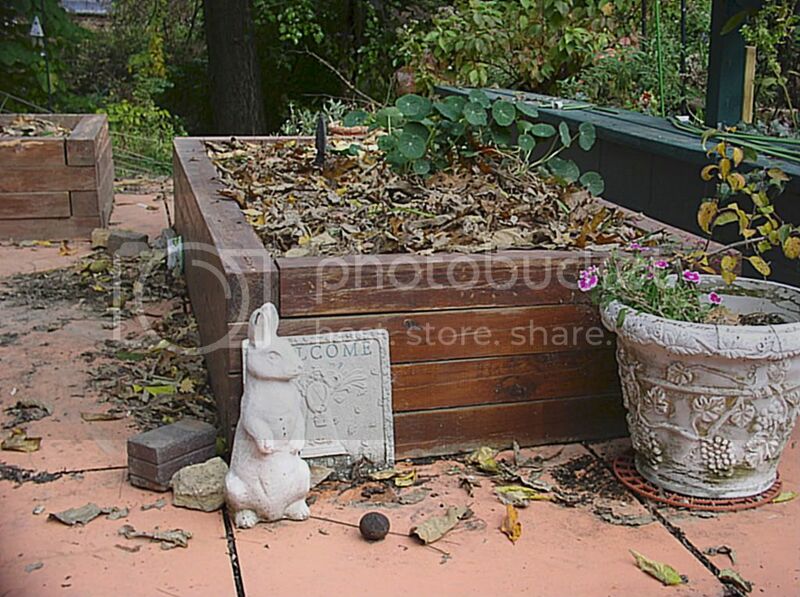 My previous house, I had a similar situation-- much of the backyard was taken up with a grey ugly concrete slab patio. I stained it terra cotta color and hired someone with a concrete saw to cut grooves into it. Made it a pretty convincing imitation of terra cotta pavers for very little money. Not the best picture, but it gives you the idea. Looked SO much better than before and got lots of compliments! You could always paint it or put a textured surface over it. I had a concrete patio resurfaced in my new house because of settlement cracks. the problem was that it separated and peeled off later. I like the idea that rainbow had of sawing it to make it look like pavers. or you could actually resurface it with tiles. Do not use unglazed terra cotta tiles, they stain easily, but slate looks good. My tiler sealed the concrete before applying the mortar to set the tile. It is common here for people to paint cement either green or red and on occasion brown. Ridges on Lawn Surface - What are they?